Perdigões 2017: 0210 - Complexity of ditches. Any archaeological excavation must deal with some complex stratigraphic problems. Excavation and re-excavation of negative structures is one of them. 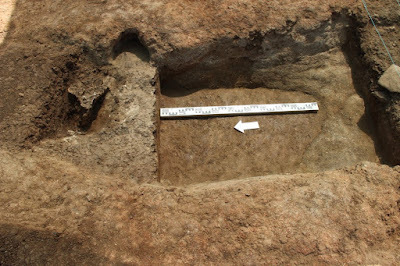 At Perdigões earliest phases we are dealing with a ditch that shows episodes of re-cutting and segmentation. This image is clear of that complexity, not yet fully understood.